How safe is the air in your woodshop? Even if you’re running a cyclone dust collector you still need to protect your lungs with some extra filtration. 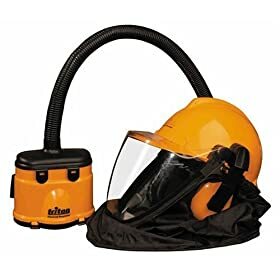 As RFeeser puts it at WoodNet: “You cannot go without an effective face mask just because you have dust collection. 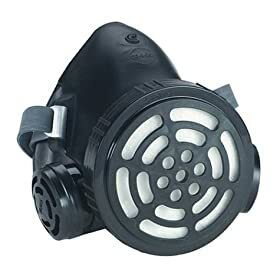 The air still ends up with a lot of the really fine, invisible sawdust that is the real health problem.” I found a thread at SawmillCreek asking for respirator recommendations. 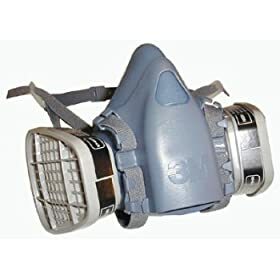 Then I dug around for more threads that recommend respirators AND reviews for specific models. I was in very good health and at 50 years old was training for a marathon and riding my bike 30 to 40 miles a week. Also no breathing problems at all for the first year of woodworking. I was the last person I thought would have any problems with a reaction to wood dust. After working on a project for about six hours last spring, I began to have some wheezing and shortness of breath. I took a break and walked out side and felt better. This had happened once before after several hours in the shop and resolved itself within a few minutes of stopping work. A few of days later I went back in the shop. The symptoms reappeared in about an hour and were worse this time. They barely got better when I stopped working. His words in Taking Wood Dust More Seriously inspired this post! So now that you’re a little more interested in getting properly respirated here are the results of my tabulations. Note that I count a vote as a unique mention in a forum thread. This is COMPLETELY opinion-based and has nothing to do with the actual quality or ability of the respirators mentioned! The air challenge/saga continues: Respirators? What do the numbers mean? You say top 5 respirators but next to each there is a number (sometimes greater than 5). Maybe you can say what it means and is the higher the number the better or the other way around.